Got the new steering rack, tie rods, reservoir and pump in. In this case the AAE replacement was a LUK pump instead of the ZF which was one I had. I am not sure if that will always be the case or if they will reman what they get back. 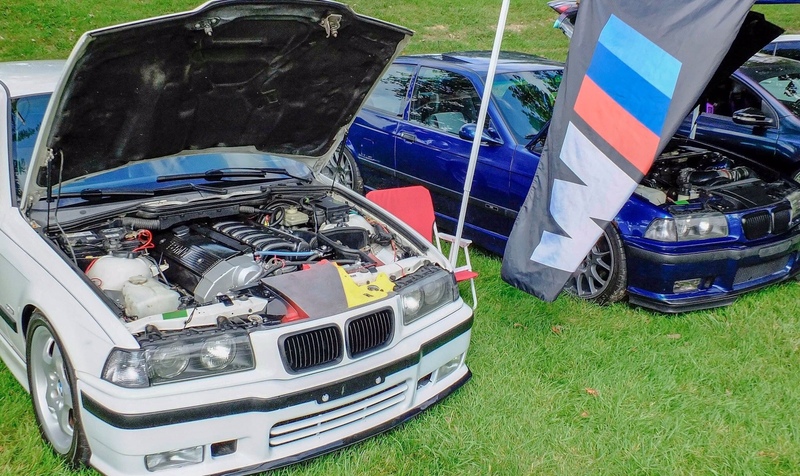 I see the early e36s came with either a ZF or LUK pump. 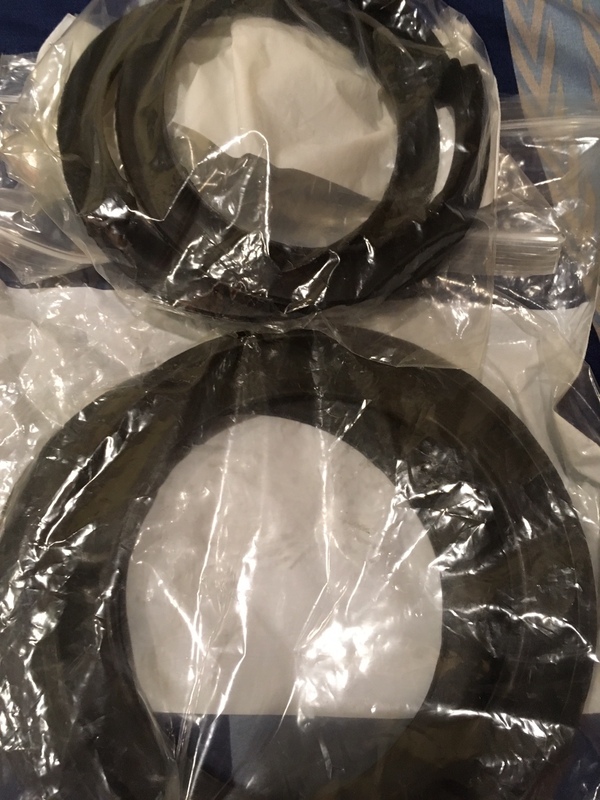 The later ones appear to all be ZF without the threaded housing but the pump itself seemed to be the same as earlier ZF, same mounting holes and pumping pressure by both. Also I replaced the E34 solid coupler with a new stock rubber one. Feels much better for street driving, I'll take the preciseness hit. Did the work at BlueBimma's house. His 6.0LS behind mine with N54 swap in progress for red. Does anyone know the cause for code 1234 / Speed Sensor. It will pop up after about 20 mins of being cleared and then car pulls timing and runs like crap power wise. I am going to make sure the wire on back of cluster did not come loose but it seems it can be a variety of issue. I have a new fuel pump I am going to replace old one but I doubt that's the issue. Motor burns some oil and steel leaks It'll be making it's way down to BlueBimma for some final touches and fixes. Going to have some rear brake lines done before the back end is completed. Then body shop to touch up underneath some surface rust. 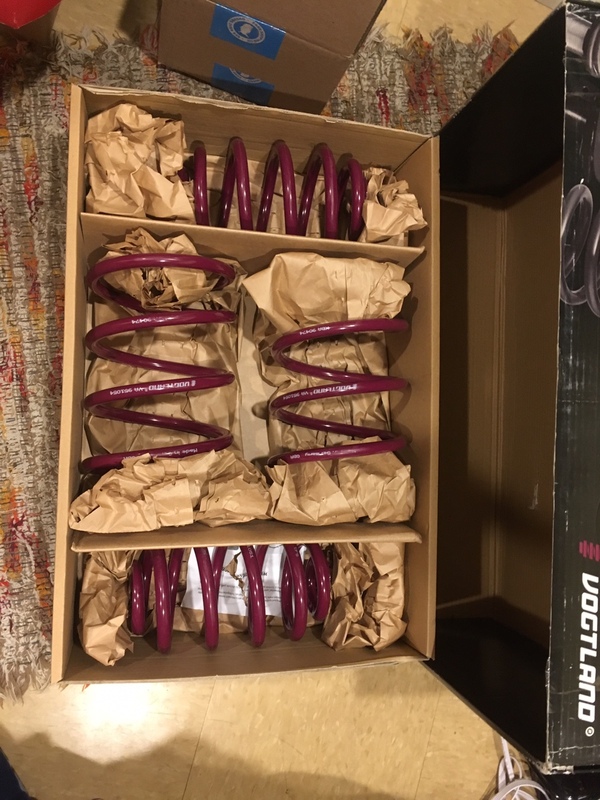 Z3M Roadster springs installed on back. Really made the ride much nicer in MI. All in all progress is slow and i've only out about 1K on the S52 which is mainly to fix itself. Hopefully I can drive more in the fall. NOWO 2018 was good. Put a few more miles on it. It’s about to get parked for the winter and hopefully complete some small items on the list for it. Happy New Year everyone! 2019 is stacked with plans. Finishing this piece is one of them. First thing is I wanted to get matching front 6cyl struts in Koni STR variant. 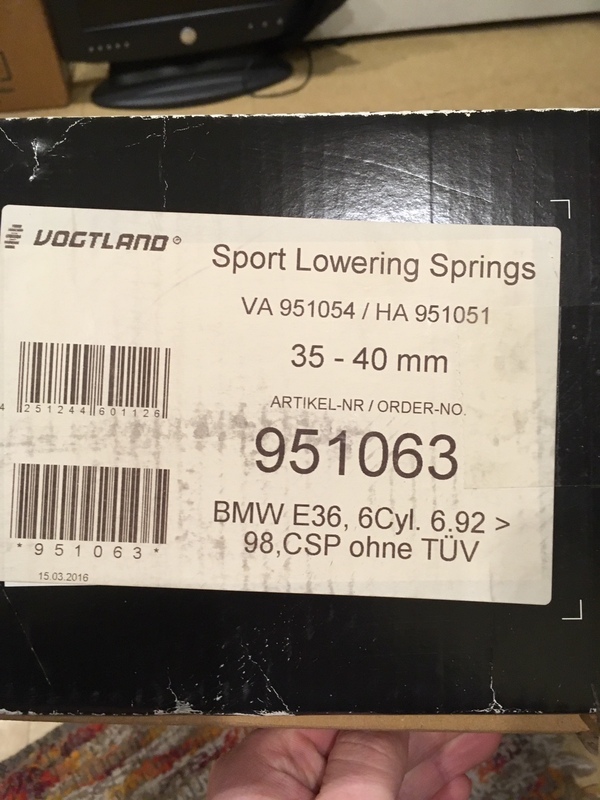 Next were less aggressive lowering springs, bought a 6cyl Vogtland kit (rears will be for sale). Next was all new hardware. Some ain’t pictured but you can see, basically going to make it quick strut change, unbolt old in new. Rest of front suspension has max of 20K on the control arms so it still feels amazing. Painted the reinforcement mounts etc. Not the biggest fan of the Mishimoto coolant reservoir so I got a stock Behr tank, cap, brass screw and Turtle Laboratories aluminum stock mount. New Rein hoses to complete. Then I can have stock setup and no shroud. Next will be driveline. I have new Guibo, CSB, centering bushing, new GKN axles, wheel bearings etc and the full rear brakes to do. After that have some engine stuff planned bit that’s time dependent. 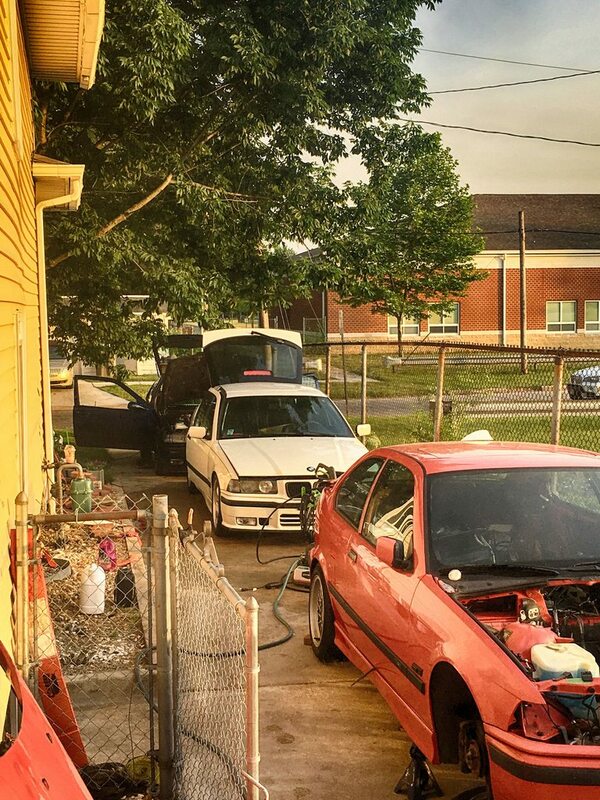 I’m extremely busy On finishing an E30 as well but I’m feeling optimistic this year. Car drives fantastic now there are just a few things I’ve wanted to take care of. New fuel lines, pump etc. Anything that may fail and leave stranded be replaced with OE. Should get the car on the dyno this summer as well.